Dr. Rector's 24 years of experience has built one of the largest practices on the Monterey Peninsula. He will share his expertise in patient management and leadership. 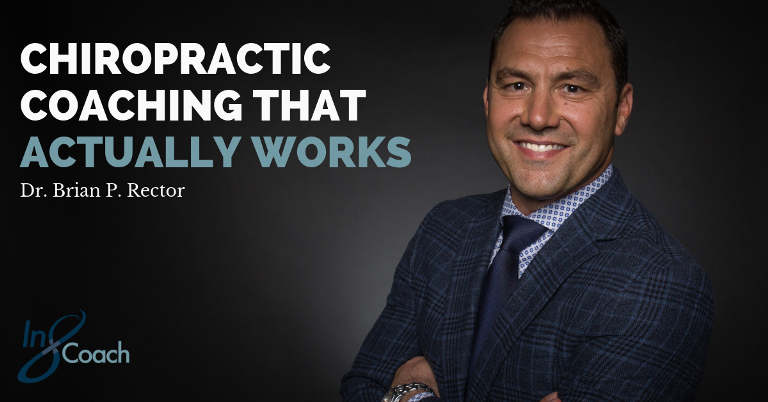 Dr. Rector is a licensed business coach and professional speaker and has assisted other chiropractors in patient management for over 10 years. "7 Values on building a RAPPORT-Based Practice"
"I have worked with Dr. Rector over the last 10 years and through his help and expertise, my office has grown to a point where I am fulfilled both personally and professionally. Dr. Rector is different in that he is in the trenches just like me, teaching me real time methods that make a difference in this day and age. I highly recommend making him a part of your team!" "I have known Dr. Brian for nearly a decade. Besides being a great person, family man, coach, devoted Christian, he is also a great chiropractor. He is always trying to help others become the best they can be and maximize their living potential. He provides great services and advice to patients looking to improve their health and vitality. He is always hungry for knowledge, and shares his passion of living a wellness lifestyle with his patients." "When I grow up I want to be Brian Rector. Phenomenal chiropractor, devoted and loving dad, carrying husband and great friend. He is a man living to his highest level in all aspects of his life."